“This study shows us that success won't be based on geography or company size but on who can adapt fastest. 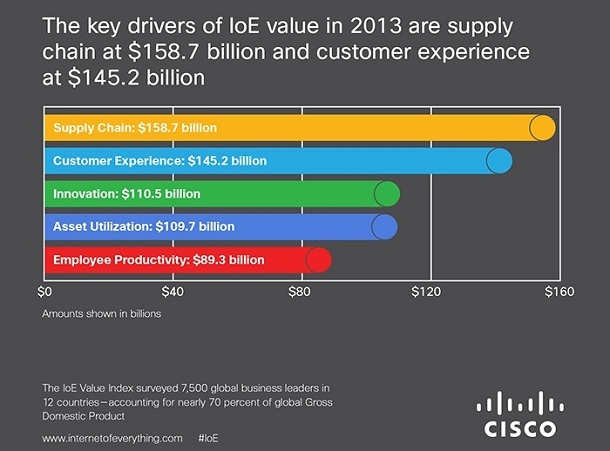 The Internet of Everything has the potential to significantly reshape our economy and transform key industries,” said Rob Lloyd, Cisco President of Development and Sales. 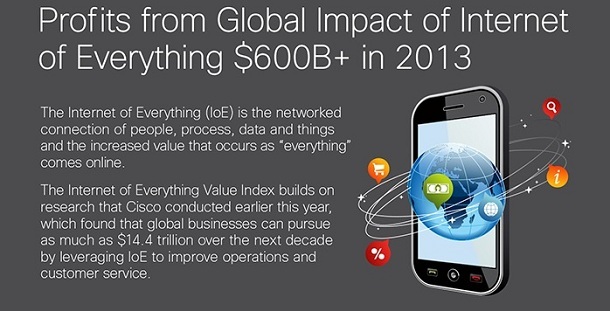 The Internet of Everything, according to Cisco “is the networked connection of people, process, data and things, and the increased value that occurs as “everything” joins the network.” Several technology transitions – including the Internet of Things, increased mobility, the emergence of cloud computing, and the growing importance of big data, among others – are combining to enable IoE. 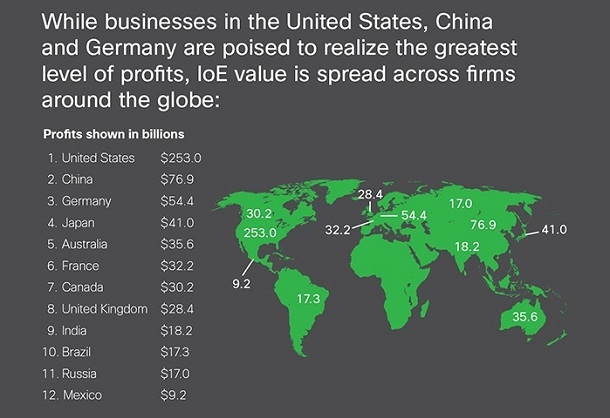 Although there is a lot of money to be made, IoE connects your network to the world, which raises the concern for privacy and better security. Those interviewed believe that the Internet of Everything will help drive better information security, However only Fifty percent believe this to be the case while 26 percent thought there would be no change. 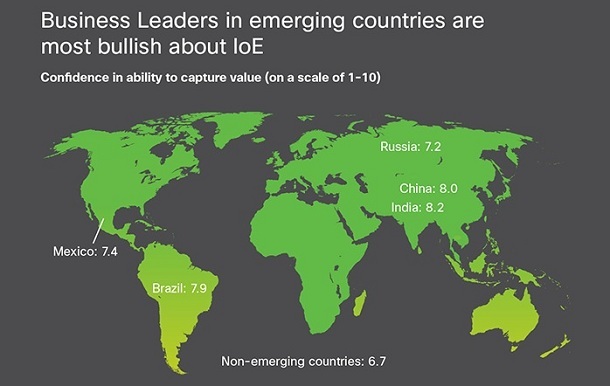 The Internet of Everything Value Index found that global businesses could pursue as much as $14.4 trillion over the next decade by leveraging IoE to improve operations and customer service. 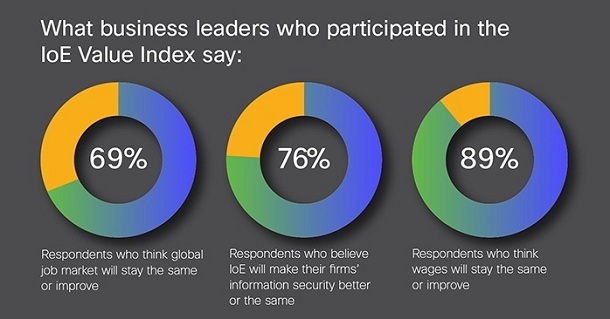 Cisco said business could: Invest in high-quality technology infrastructure and tools; Adopt and follow inclusive practices that enable all employees to contribute and develop effective information-management practices.